Large remodeling projects come with their own set of unique challenges, and remodeling your basement is no different. Just as you wouldn’t begin painting a filthy, cracked wall without patching it and sanding it clean, you don’t want to start a basement remodel without being sure that your walls are dry and free of drips or seeping water. Remodeling projects in your basement provide you with an easy way to boost your overall home value while creating new space for your family. When you finish, you will have the satisfaction of knowing that you’ve made an excellent (and enjoyable) investment in your future. It’s an unfortunate fact, but you can’t always see water damage — it can hide directly under the surface of your basement walls or under the floors. A professional contractor can help alert you to the signs and symptoms of water seepage before it’s visible to the naked eye. 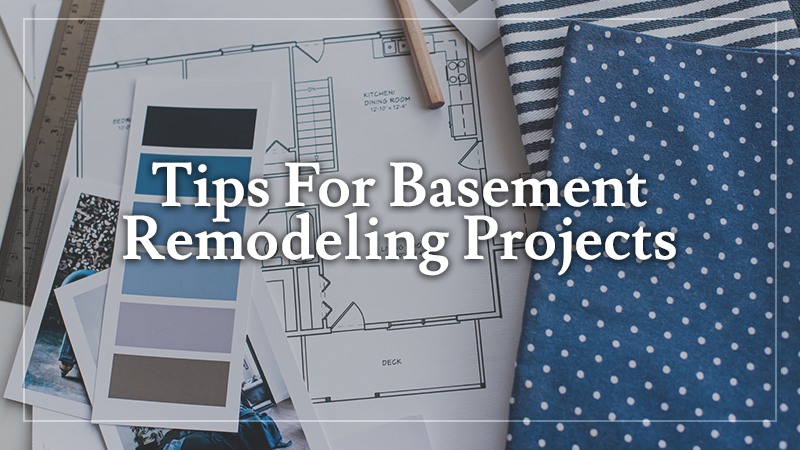 Contractors are also able to help select the best materials for your basement needs, which include options that work for higher levels of humidity levels. For example, laminate or hardwood are poor flooring choices for a more humid environment. Building requirements vary by state and even by county in many instances. 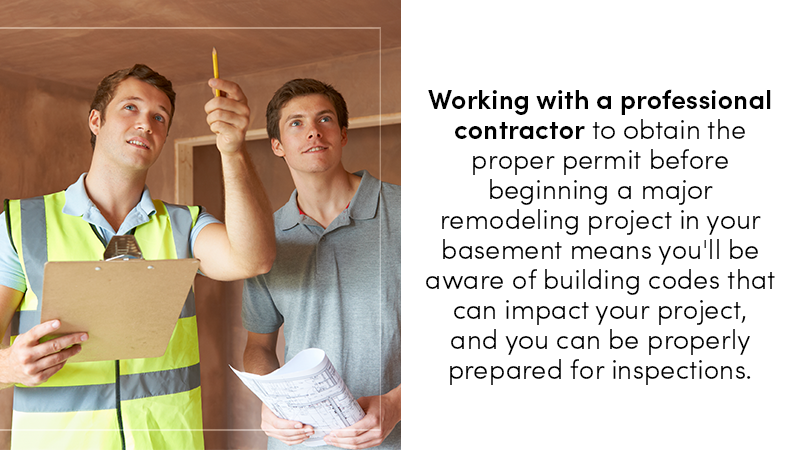 Working with a professional contractor to obtain the proper permit before beginning a major remodeling project in your basement means you’ll be aware of building codes that can impact your project, and you can be properly prepared for inspections. Updating a basement provides you with an opportunity to rethink your exit strategy from your home in case of an emergency. From installing firestopping within the walls to creating a secondary exit from your basement, licensed contractors can work with you to determine the most cost-effective way to meet local regulations while staying true to your vision for the space. Everything from adding an air barrier between external walls and finished space to the right grade and type of insulation for your basement are important decisions that require either a great deal of research or a knowledgeable support system. Our building and contracting professionals are standing by to provide you with a free estimate. All you need to do is give L&L Contractors a call at 615-617-3189 or fill out our quick online contact form. Ready to tackle a bigger project? Check out our recent blog post about top tips for remodeling your kitchen.